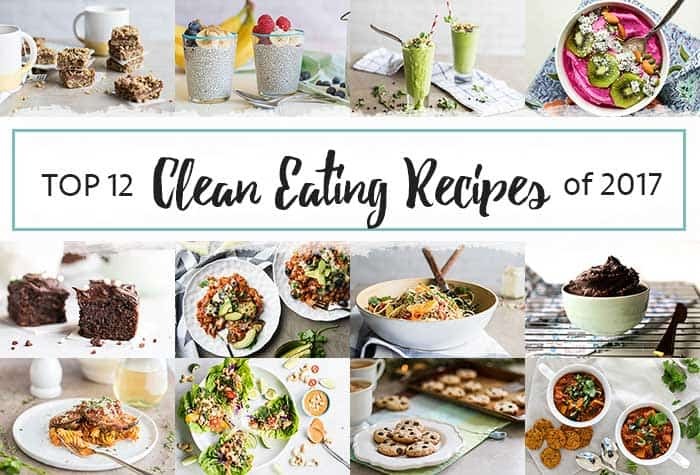 The Top 12 Clean Eating Recipes of 2017 — a truly mouth watering list! If you haven’t tried these recipes yet, now is the time. Wishing you and yours a healthy and happy New Year! 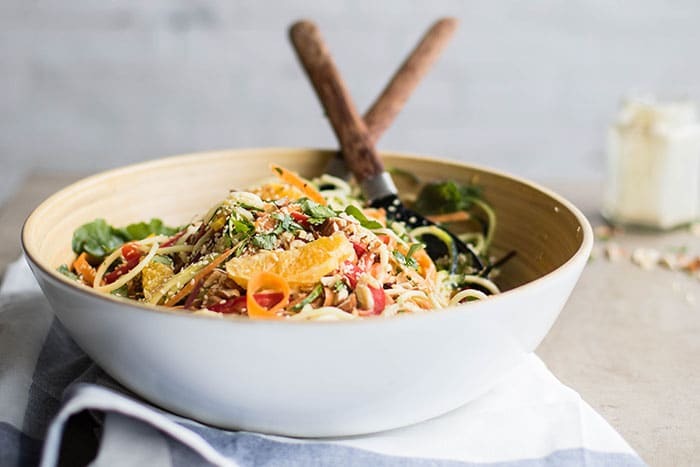 This has been the most popular recipe for over 2 years on Vitamin Sunshine! These gluten free cookies are also sugar free, and sweetened only with dates — which I am pretty sure is part of why they are so popular! A great healthy snack or dessert. 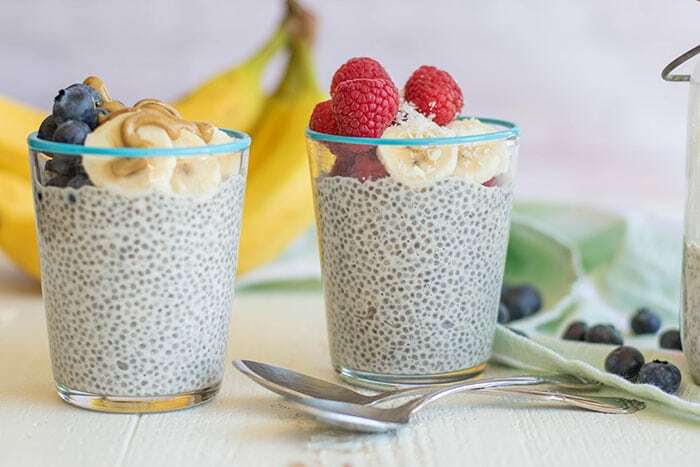 This chia pudding recipe is so easy to make in the evening, and makes enough for 3-4 breakfasts. I like to make it and store it in mason jars (about 1/2-3/4 of the way full). 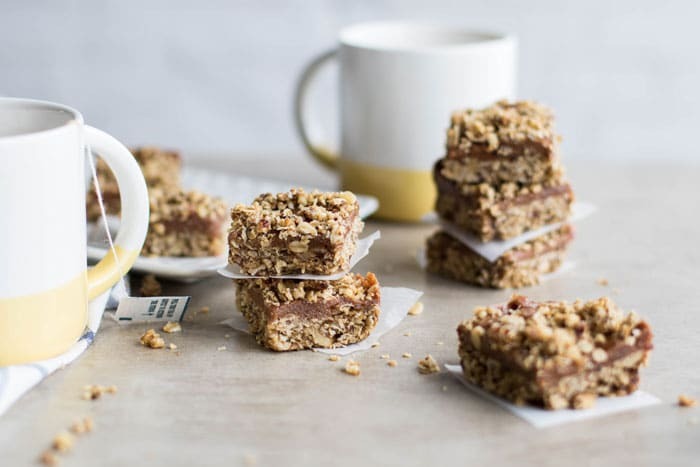 When I used to work outside the home, I would grab one in the morning, and top with some fresh fruit and nut butter, then take with me to have at work while I caught up on emails first thing. Easy, healthy, and delicious! 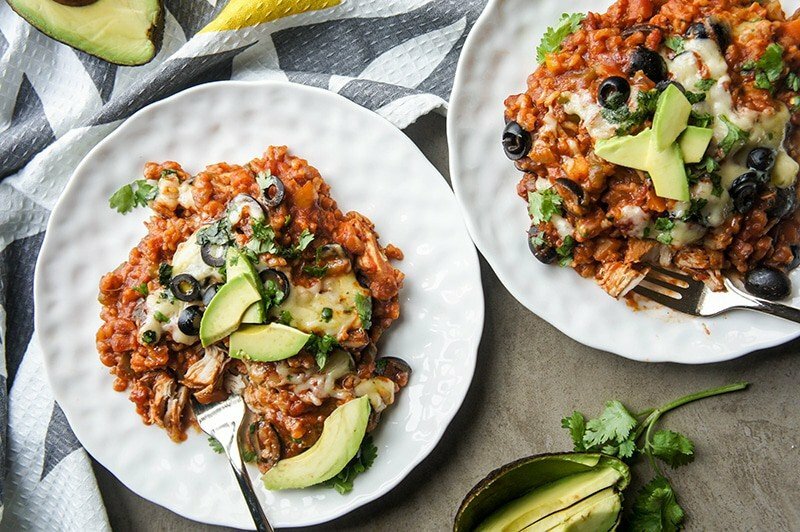 This recipe was updated for the 3rd time this year because of it’s popularity since posting – it was the 3rd recipe ever posted on Vitamin Sunshine, and still a reader favorite! I have gotten so many messages from readers telling me how much they love this combination. 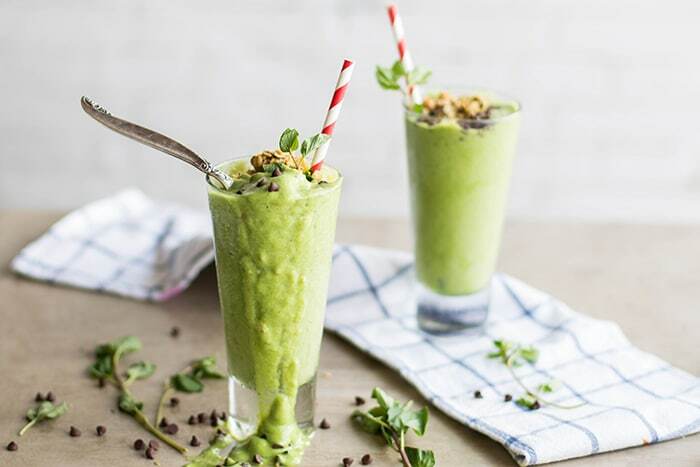 Full of healthy ingredients, but tastes like a milkshake — a win-win in my book! Dragon fruit has gained a lot of popularity world wide the past few years because of it’s superfood status — low in sugar, and full of antioxidants. Besides that, isn’t it gorgeous? 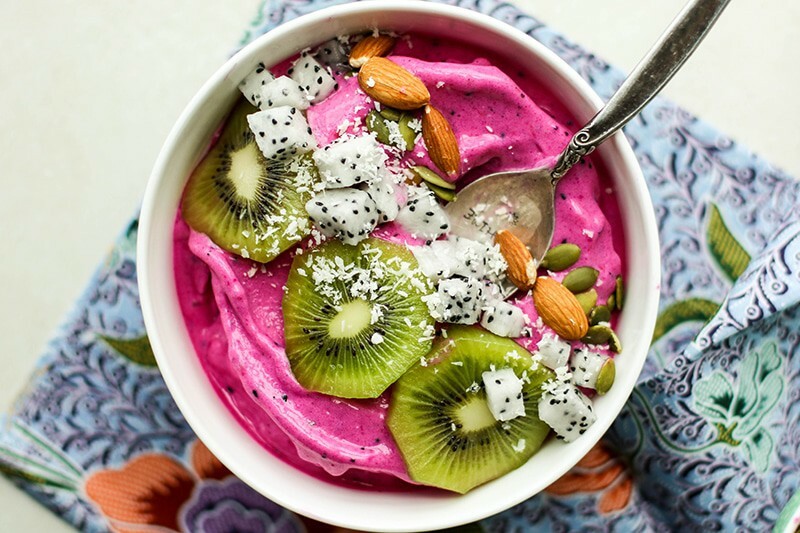 This recipe uses frozen dragon fruit, bananas, and mango, and processes them into a soft-serve type consistency, for a breakfast bowl that is like having ice cream! If you hate runny smoothie bowls like I do, this one is for you. This gluten free cake was inspired by the gluten free quinoa brownies at Starbucks. Like so many store bought gluten free options, those brownies were full of sugar and starch and pretty much void of nutrition. 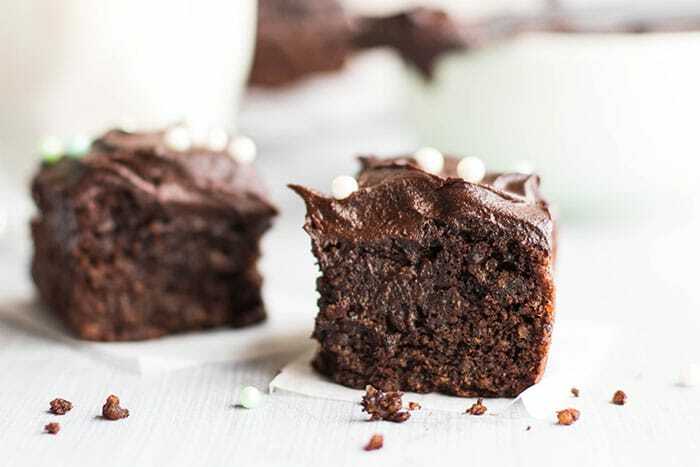 While I wasn’t able to replicate the brownie recipe, I did come up with this tasty snack cake — fluffy, chocolately, and full of fiber (did I mention it’s also sugar free?). This is my favorite slow cooker recipe of all time. This combines tender chunks of chicken with brown rice, and tons of veggies (including cauliflower rice to make it more nutrient packed!). It only takes 30 minutes to chop the veggies and load up the slow cooker, and then a delicious meal (and enough for leftovers) is ready for a comforting and hot meal! You’d never guess that the base of this creamy frosting is . . . sweet potatoes! 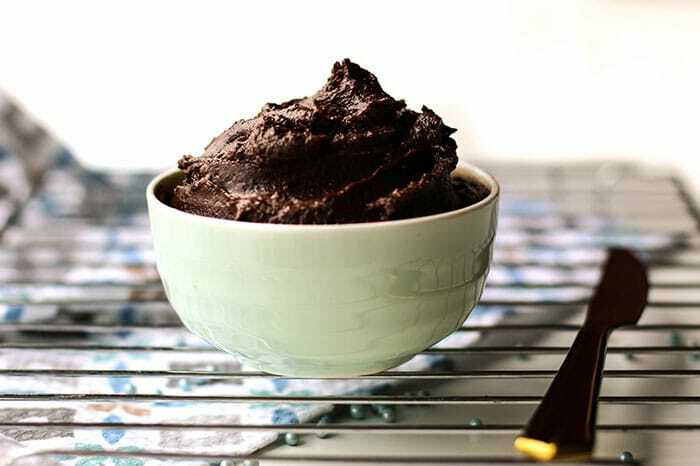 This frosting processes into a smooth and creamy chocolately frosting, firm enough to stand up on a cake or in sandwich cookies. I was in need of a frosting that wasn’t entirely made of sugar. To keep this light, I used date syrup to sweeten it. This is one of my favorite recipes possibly ever! 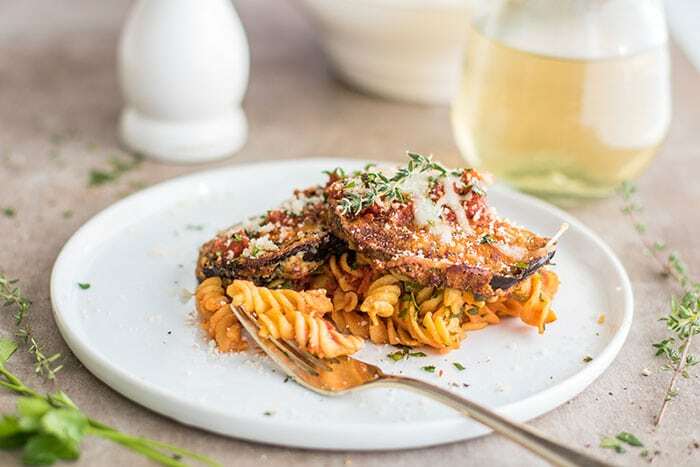 If you have a restaurant favorite meal that you know isn’t the healthiest, you’ll appreciate this recipe makeover of my favorite Italian dish. This is kept gluten free with homemade breadcrumbs, and is baked instead of fried. 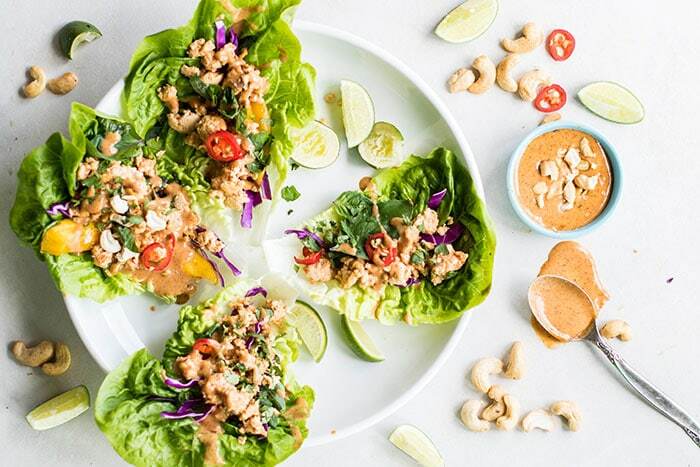 Forgo rice paper for lettuce, and you have yourself a delicious Whole30 approved lunch or dinner. These are so good, my husband asks for them again and again, despite the fact that he isn’t a huge lettuce fan. A fun meal for the whole family, packed with flavor and health-boosting ingredients. These cookies are SO easy to make — and a little too easy to eat as well. 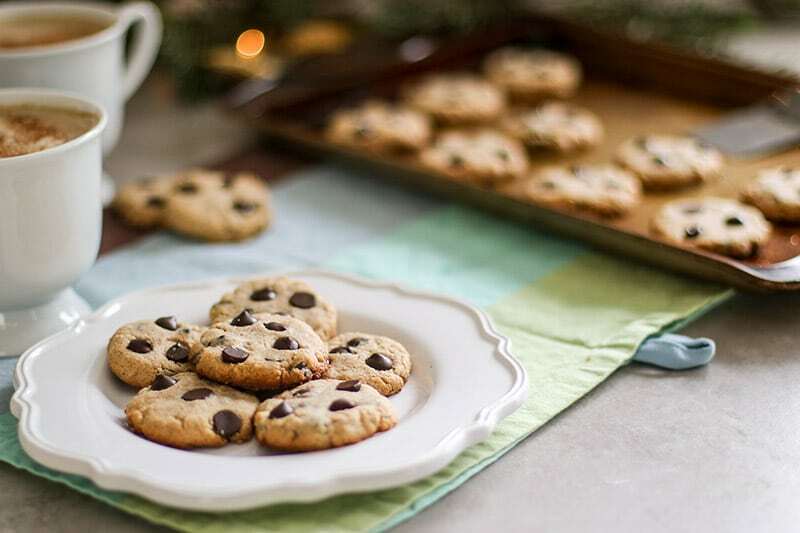 We like to make them as giant cookies for a special treat, and because they are only lightly honey-sweetened, and made with almond flour, there is no sugar crash associated with them. A perfect treat that won’t derail your healthy-eating goals. 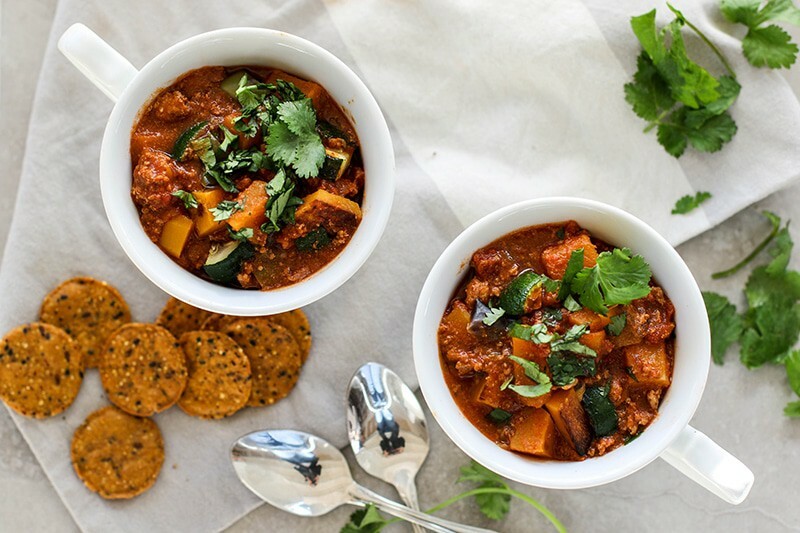 I absolutely adore this recipe — packed with flavorful ground turkey and roasted butternut squash. This recipe forgoes the beans in place or more protein and veggies for a healthy meal the whole family will love. I’d love to connect with you on social media! Find me on Facebook or Instagram where I post daily healthy eating and lifestyle inspiration. Subscribe to receive new recipes weekly, or choose to only receive a monthly newsletter. I just love this chocolate frosting. This is my favorite dessert. Thank you Monique! So funny you say that -- my husband loves yogurt and fruit for dessert, but he is always asking me to make this frosting so he can add a spoonful to his bowl!